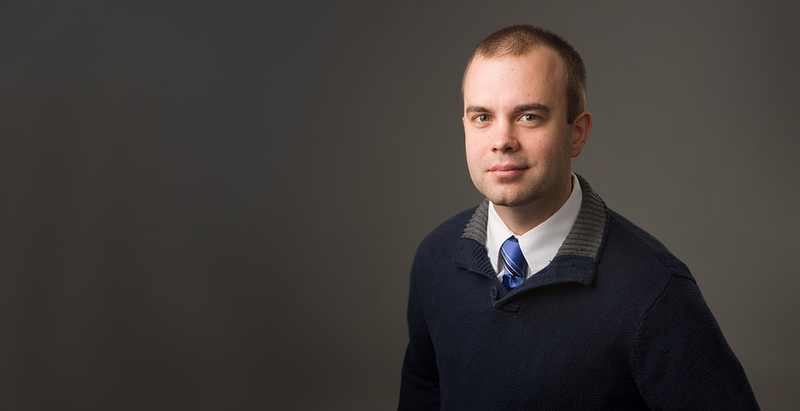 Zachariah J. Rodgers serves as a research fellow at the HEC Paris Society and Organizations (S&O) Center. He performs research on the interrelationship between social impact and financial value as well as innovation. Zach graduated with highest honors from the University of Michigan in Economics & Asian Studies. He served a volunteer mission for the Church of Jesus Christ of Latter-Day Saints in the Tokyo, Japan area for 2 years, and later conducted on-site research at a global Fortune 500 firm in Japan and Mexico. 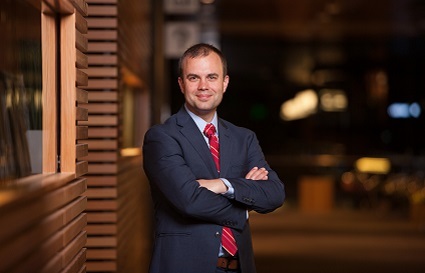 Zach built an e-commerce company as an entrepreneur for 5 years in Boston, before completing an MBA at Brigham Young University where he graduated as a Hawes Scholar, the highest award for excellence in scholarship and leadership. 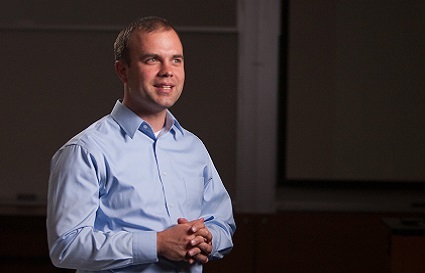 Zach completed a Ph.D. at Stanford University in Management Science & Engineering. 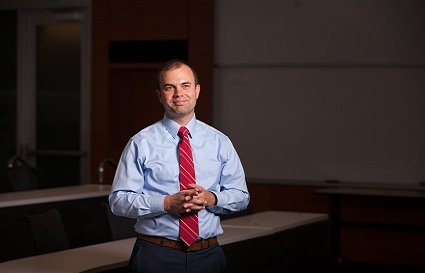 His dissertation research examined how different types of organizations perform with respect to both social and financial performance indicators at the same time. 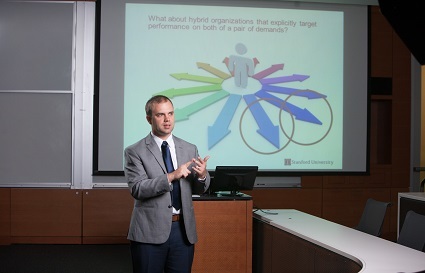 Zach has presented research on social impact, financial performance, innovation, and other organizational theory topics at companies and over 17 conferences and 11 leading universities. 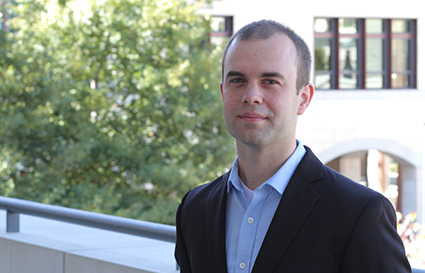 Zach has contributed editor-reviewed work in the Research Companion to Ethical Behavior in Organizations, the Encyclopedia of Management Theory, Administrative Science Quarterly, and a digital article for the Stanford Social Innovation Review. 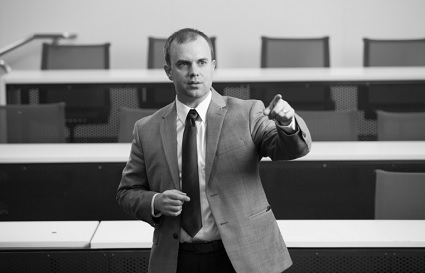 In addition, Zach has published work in the NYU Journal of Law and Business and the Strategic Management Journal. In 2019, Zach will start work at McKinsey & Company in Washington, DC where the McKinsey Global Institute and head of the social impact practice are located. Rodgers, Z. J. (2016) Looking Good by Doing Good Is corporate philanthropy expensive? We found that in fact it can be highly profitable for firms if it is covered by the press. And in this study, we identified donation characteristics that increase the likelihood of press coverage. Weitzel, P. & Rodgers, Z. J. (2015) Broad Shareholder Value and the Inevitable Role of Conscience. Weitzel, P. & Rodgers, Z. J. (2015) Broad Shareholder Value and the Inevitable Role of Conscience. Do corporations have a legal obligation to maximize profits at all costs? Simply put: No. And this argument works even if the only purpose of the firm is to maximize value for shareholders. Miller, J.A., Z.J. Rodgers, & J.B. Bingham (2014) Moral Awareness. Miller, J.A., Z.J. Rodgers, & J.B. Bingham (2014) Moral Awareness. In B.R. Agle, J.A. Thompson, & D.W. Hart (Eds. ), Research Companion to Ethical Behavior in Organizations. New York: Edward-Alger. Whetten, D.A. & Rodgers, Z.J. (2012) Susan Albers Mohrman, Edward E. Lawler, III, and Associates: Useful Research: Advancing Theory and Practice. Book Review. Administrative Science Quarterly 57(4): 700-703. Leveraging a Boost from the Shoulders of Giants: What Base of the Pyramid Research can Learn from Poverty Studies in the Disciplines. Cui Bono? When do Organizations Obtain Favorable Legal Environments Despite Contradictory Stakeholder Interests? Cui Bono: When do Organizations Obtain Favorable Legal Environments Despite Contradictory Stakeholder Interests? Cui Bono: When do Organizations Obtain Favorable Legal Environments Despite Contradictory Stakeholder Interests? Rodgers, Z.J. 2016. Cui Bono: When do Organizations Obtain Favorable Legal Environments Despite Contradictory Stakeholder Interests? A Study of U.S. Merger & Acquisition Antitrust Regulation. Presented at International Association of Business & Society, Park City, Utah. Going Against the Grain but Rising to the top: Career Returns to Engaging Creative Behaviors at Work *Dyer, J.H., Rodgers, Z.J. (presenter), & Baer, M. (*all authors contributed equally) 2016. Going Against the Grain but Rising to the top: Career Returns to Engaging Creative Behaviors at Work. Poster at Organization Science Winter Conference. Leveraging a Boost from the Shoulders of Giants Rodgers, Z.J., Godfrey, P.C., Santos, F., & Acquaah, M. 2015. Leveraging a Boost from the Shoulders of Giants: What Base of the Pyramid Research can Learn from Poverty Studies in the Disciplines. Presented at SIM division, Academy of Management annual conference, Vancouver, Canada. Hybrids as Non-commutative Social and Financial Combinations: When A+B does not Equal B+A. Hybrids as Non-commutative Social and Financial Combinations: When A+B does not Equal B+A. Rodgers, Z.J. 2015. Hybrids as Non-commutative Social and Financial Combinations: When A+B does not Equal B+A. Presented at Stanford-Berkeley Organizational Behavior Conference, Haas School of Business, University of Berkeley. Best of both Worlds or Master of none? Organizational Performance in an Environment with Multiple Demands Rodgers, Z.J. 2014. Best of both Worlds or Master of none? Organizational Performance in an Environment with Multiple Demands. Presented at Networks & Organizations workshop, Stanford University. Applied or Disciplined: What Constitutes our Contributions? Applied or Disciplined: What Constitutes our Contributions? Whetten, D.A., Rodgers, Z.J. (presenter), Green, C.D., & Coles, R. 2014. Applied or Disciplined: What Constitutes our Contributions? An Analysis of the Theory-practice Nexus in Published Academy of Management Journal Articles. Presented at OMT division, Academy of Management annual conference, Philadelphia. Good Form? Organizational Form, Social and Financial Performance. Rodgers, Z. J. 2013. Good Form? Organizational Form, Social and Financial Performance. Presented at the NYU Stern 10th Annual Social Entrepreneurship Conference, Stern School at New York University. Benevolent Bankers? An Empirical Comparison of Nonprofit and For-profit Microfinance Organizations Rodgers, Z. J. 2013. Benevolent Bankers? An Empirical Comparison of Nonprofit and For-profit Microfinance Organizations. Presented as part of a month-long workshop on improving the paper through the Penn Summer Social Impact Fellows, Social Policy and Practice School at the University of Pennsylvania. Oughts and Ought Nots: Evidence from the Microfinance Industry for Asymmetrically Integration-Resistant Hybrid Combinations and the Consequences for Social and Financial Performance Rodgers, Z.J. 2016. Oughts and Ought Nots: Evidence from the Microfinance Industry for Asymmetrically Integration-Resistant Hybrid Combinations and the Consequences for Social and Financial Performance. Presented at Trans-Atlantic Doctoral Conference, London Business School. When A+B does not Equal B+A: Asymmetrical Organizational Combinations, Integration, and Performance Rodgers, Z.J. & Garff, P.F. 2015. When A+B does not Equal B+A: Asymmetrical Organizational Combinations, Integration, and Performance. Presented at OMT division, Academy of Management annual conference, Vancouver, Canada. Cui bono? Congressional Oversight Hearings and their Effects on Firm, Social, and Competitive Outcomes Rodgers, Z.J. 2015. Cui bono? Congressional Oversight Hearings and their Effects on Firm, Social, and Competitive Outcomes. Also Hybrids as Non-commutative Social and Financial Combinations: When A+B does not Equal B+A. Presented at Organizational Leadership and Strategy faculty seminar series, Brigham Young University. Best of both Worlds or Master of none? Nonprofit and For-profit Organizations Attempting both Social and Financial Performance Rodgers, Z.J. 2014. Best of both Worlds or Master of none? Nonprofit and For-profit Organizations Attempting both Social and Financial Performance. Presented at Association for Research on Nonprofit Organizations and Voluntary Action annual conference, Denver. Two-dimensional Performance and Moral High Ground’s Dark Side: Social and Financial Performance of Hybrid Forms Rodgers, Z.J. 2014. Two-dimensional Performance and Moral High Ground’s Dark Side: Social and Financial Performance of Hybrid Forms. Presented at University of Utah Doctoral Research Management Roundtable. Applied or Disciplined: What Constitutes our Contributions? Whetten, D.A., Rodgers, Z.J. (presenter), Green, C.D., & Coles, R. 2014. Applied or Disciplined: What Constitutes our Contributions? An Analysis of the Theory-practice Nexus in Published Academy of Management Journal Articles. Poster at Wharton Business School Mack Emerging Scholars Workshop. Benevolent Bankers? An Empirical Comparison of Nonprofit and For-profit Microfinance Organizations Rodgers, Z. J. 2013. Benevolent Bankers? An Empirical Comparison of Nonprofit and For-profit Microfinance Organizations. Presented at the Ascending Scholars Workshop, Brigham Young University. Looking Good by Doing Good: The Antecedents of Media Coverage of Corporate Philanthropy Madsen, P.M. & Rodgers, Z. J. (presenter) 2011. Looking Good by Doing Good: The Antecedents of Media Coverage of Corporate Philanthropy. Presented at SIM division, Academy of Management annual conference, San Antonio. 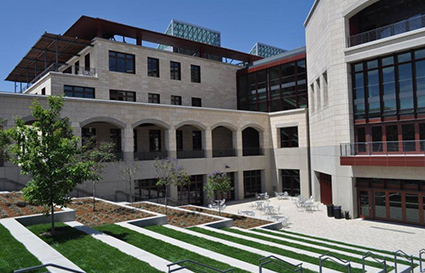 Stanford Management Science & Engineering full fellowship — 2012-2013 Stanford Management Science & Engineering full fellowship. "The CSR lecture was very well done and extremely engaging." "I learned a ton from the lecture he gave in class!" "Zach gave a great lecture on CSR that was very personal and taught me a lot." "CSR guest lecture was fantastic!" "Great lecture on social responsibility! It was so interesting and engaging, definitely one of my favorite classes." "Zach has an incredible gift for teaching: his lessons are flush with novelty, insight, and rich student discussion. 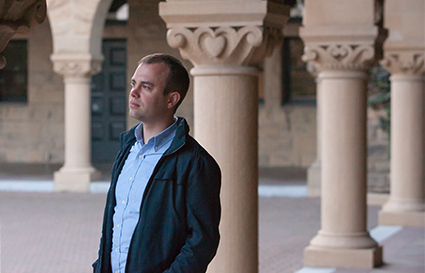 Of the hundreds of teachers I have had at Stanford and elsewhere, Zach is among a handful that have left me pondering on his lessons for weeks."